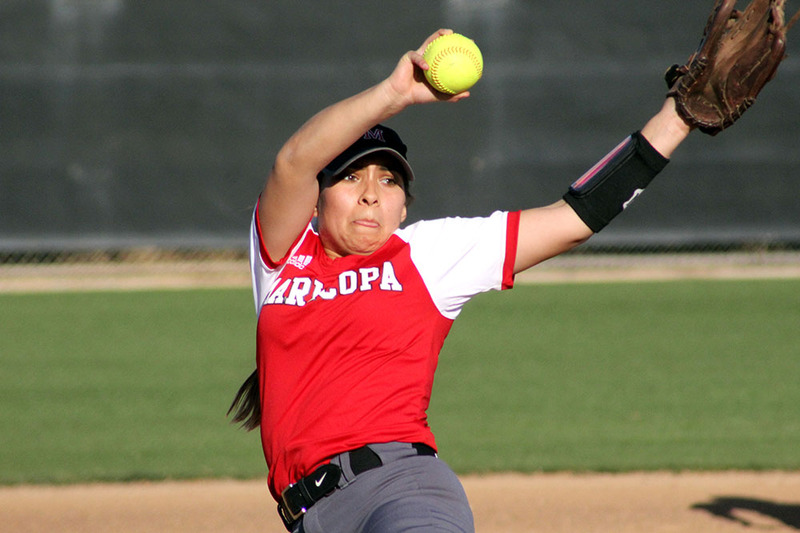 Maricopa High School Softball fell at home, 12-2, against Florence Thursday during the team’s season opener at the annual Krystin Diehl Tournament. 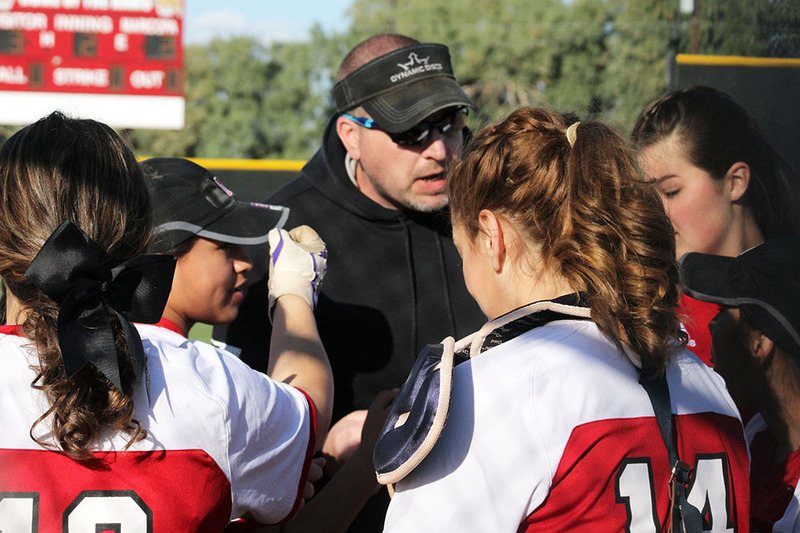 It was the first game led by new head coach Jason Crawford. He joined MHS in August as an English teacher. A day ahead of the game, Crawford said the team’s biggest challenge is its nerves. “We have been working hard the entire off season for this moment, and now that it’s here, I need to keep the girls’ from getting too nervous and losing focus of our goals,” Crawford said. 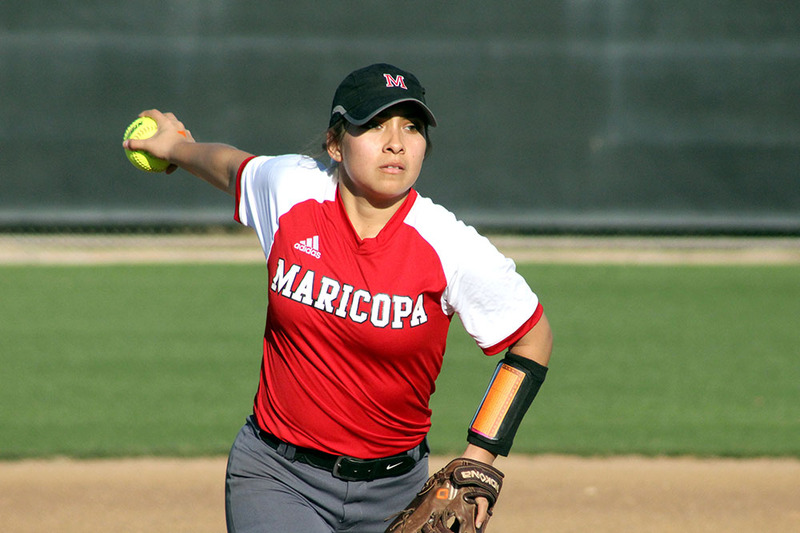 The team was plagued with pre-season jitters during its scrimmage Saturday, Crawford said, and despite moments of confidence on the mound and behind the plate Thursday, Rams softball couldn’t shake the butterflies for a win. 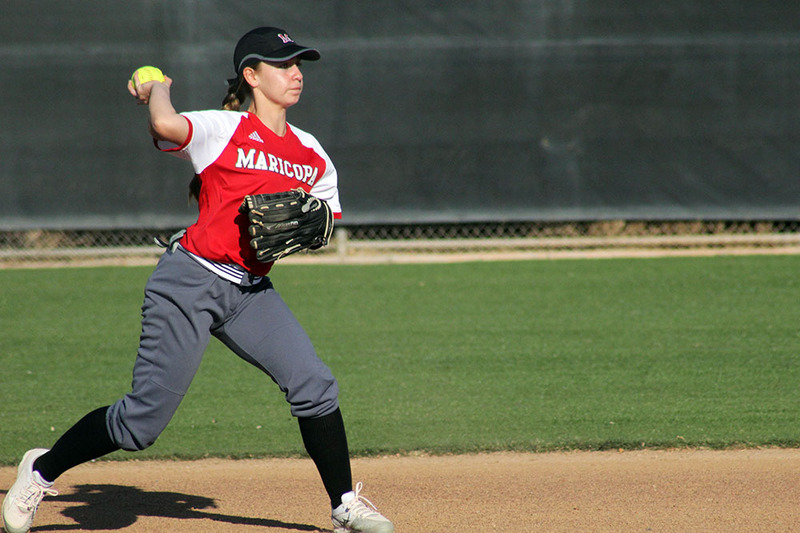 Rams varsity softball is a young team this year — made up of mostly underclassmen and only a handful of juniors and seniors. Crawford said he’s looking to his older players to mentor their newest players on the field. Rams softball faces off against McClintock High Friday at 4:30 p.m. This story has been corrected from a previous version to indicate Mr. Crawford is an English teacher.